Adam Walicki had an outstanding 2018 season and captured his first AGA Player of the Year title. 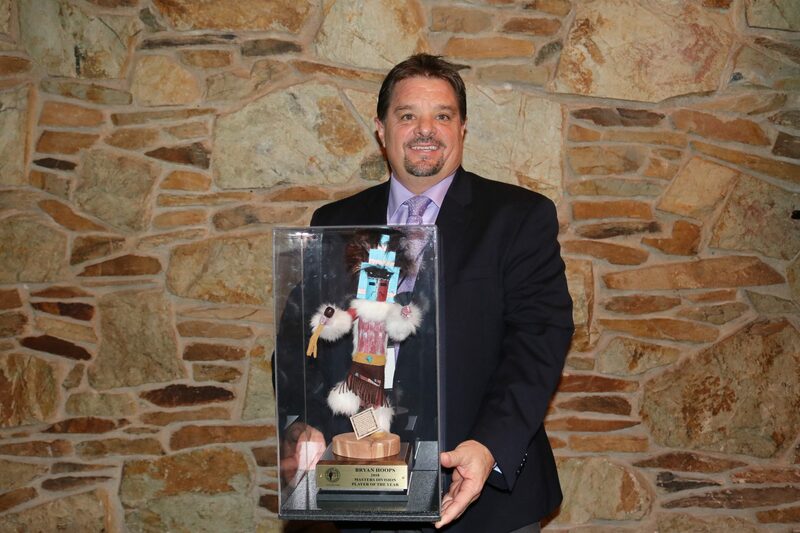 Leading the Open Division on the Players Cup Points list with 3150 points, he won twice on the AGA Tour, first at the Arizona Short Course followed by the Players Cup Championship. He finished in the top-5 at four more AGA Tour events, earned a spot on the Goldwater Cup and AZ/UT Shootout team rosters and qualified for the match play portion of the 94th Arizona Amateur Championship. Bryan Hoops had a dominating season in the Masters Division with nearly double the point total of his nearest competitor. 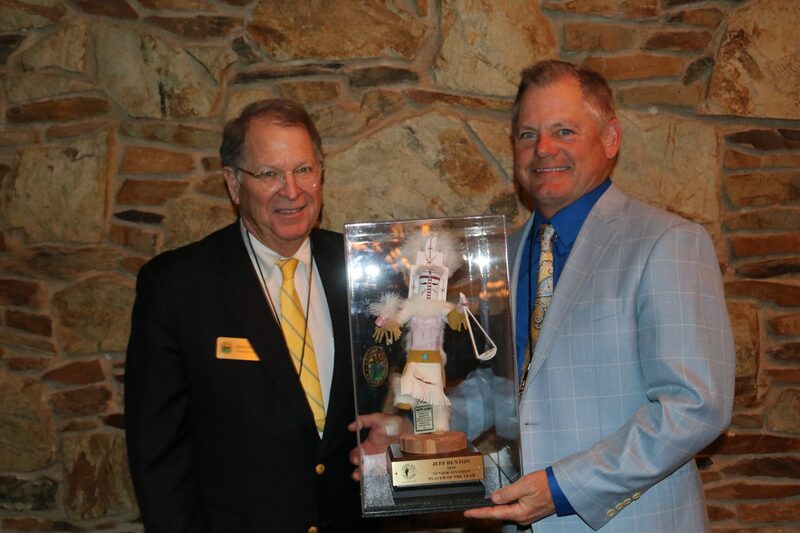 Bryan won a total of four events including the 2018 Arizona Mid-Amateur Championship (Ak-Chin Southern Dunes), 2018 Senior Match Play Championship (Raven Golf Club Phoenix), 2018 Senior Stroke Play Championship (Grandview Golf Club) and the 2018 San Tan Amateur (Las Colinas Golf Club). 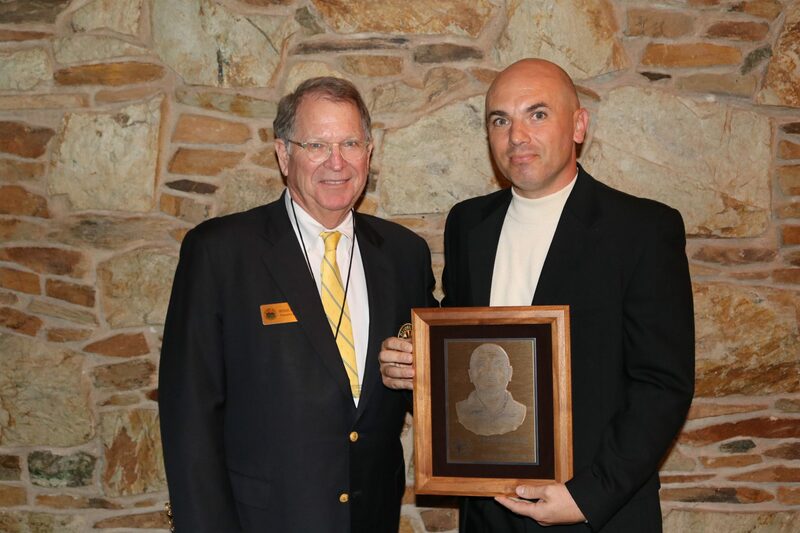 Bryan furthered his impressive season with 3 top-10 finishes, the 2018 Mayfair Award and represented the AGA in the 2018 Goldwater Cup Matches, 2018 AZ/UT Shootout and the Campeonatos Internacional hosted by Lima Golf Club, Lima, Peru. Jeff Benton won the 2018 Senior Division title in convincing fashion with an incredibly consistent season. Jeff finished the year with 7 top-5 finishes, highlighted by a victory at the 2018 Northern Amateur (Oakcreek Country Club). 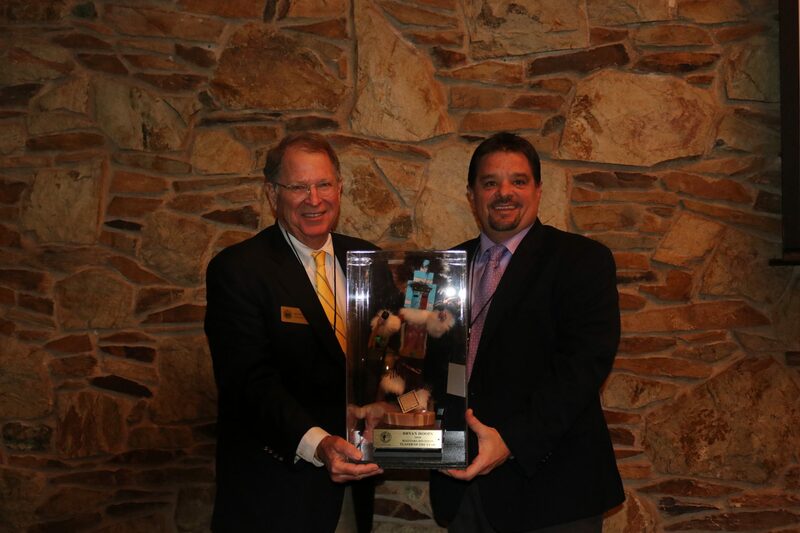 Jeff also represented the AGA in the 2018 Goldwater Cup Matches in September. Tom Preston had an outstanding 2018 season winning the closely contested Legends Division. 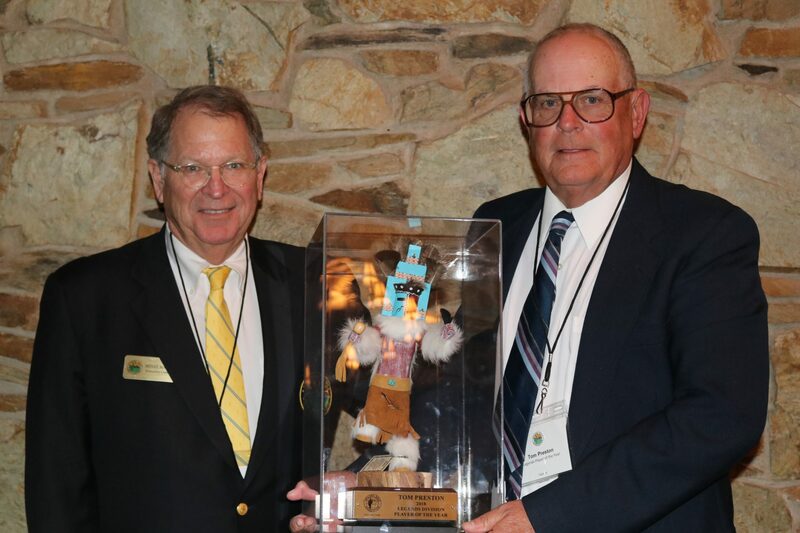 Tom played in four events and won three of them including the 2018 Senior Stroke Play Championship, 2018 Senior Match Play Championship and 2018 Northern Amateur. In his fourth event at the 2018 AGA Players Cup Championship Tom finished runner-up after losing in a playoff to Tony Petronis. The Mayfair Trophy was created in 1988 to be awarded to the AGA Member with the lowest weighted tournament scoring average at the end of each year. To be eligible, a player must compete in at least one USGA qualifying round in Arizona and at least two AGA individual major championships; or, compete in at least one USGA qualifying round in Arizona, at least one AGA individual major championship and a collegiate championship in Arizona. All scores count towards the adjusted average. Tui has been named the 2017 Arizona Women’s Golf Association Player of the Year for a record 14th time. Since returning to Arizona, Tui has won 11 Arizona State Championships, including three Match Play Championships in 2005, 2008 and 2010, and was named the AWGA Player of the Year 11 consecutive times from 2001 to 2011. Tui earned points for the 2018 season by finishing second in the AWGA Four-Ball Championship and finishing second in the AWGA State Amateur Match Play Championship. 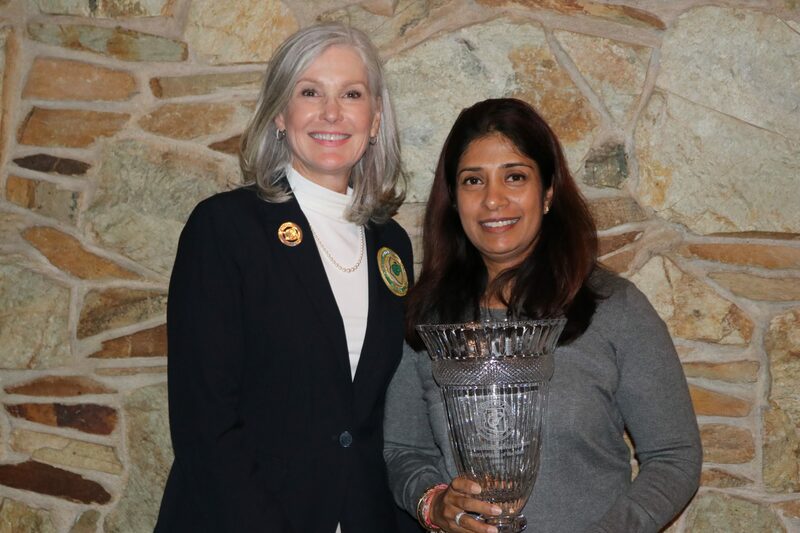 As a seasoned veteran in USGA events, Tui earned points by qualifying for the US Women’s Four-Ball Championship and the US Women’s Mid-Amateur Championship. Liz Waynick has earned the 2018 Arizona Women’s Golf Association Senior Player of the Year Award – her second time to win this award since she earned the AWGA Player of the Year and Senior Player of the Year honor in 2012. Liz was the first and only player in the history of the AWGA to win both awards in the same season. 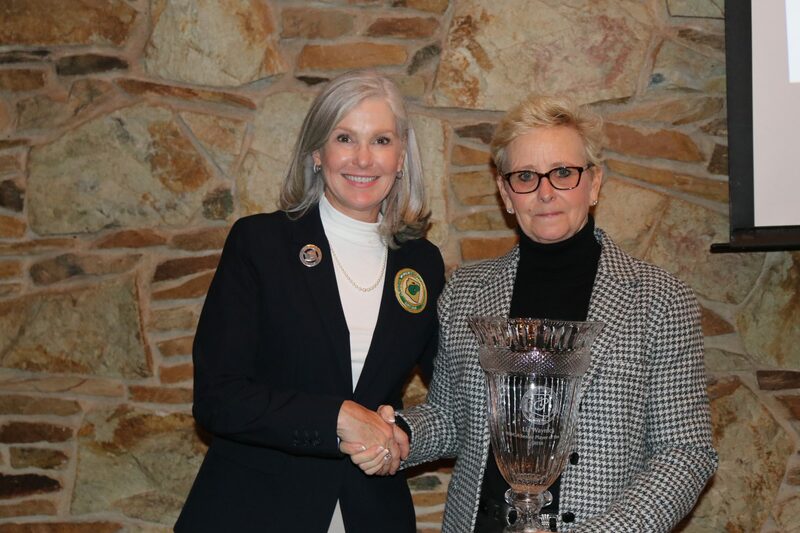 Liz earned points for the 2018 season by winning the AWGA Senior Stroke Play Championship and was runner-up in the Senior Match play. Liz was medalist in qualifying for the Inaugural USGA Senior Women’s Open. “Playing at Chicago Golf Club in Chicago was a highlight in my life,” says Liz. She also qualified for the USGA Women’s Mid-Amateur and qualified for and played in the USGA Women’s Senior Amateur.